November 1, 2016 [Beachwood, Ohio]– Over 38 million Americans of all ages have a hearing impairment which often leads to living in a silent world. Many hearing-impaired individuals have the ability to hear again with the help of a hearing aid but continue to live with their hearing impairment because they lack the financial resources to obtain a hearing device which can cost thousands of dollars. Hearing Missions Foundation, a non-profit affiliate of Centers for Hearing Care, along with the Jewish Family Service Association of Cleveland (JFSA) is now seeking local Holocaust survivors with hearing impairments who are in financial distress to receive free hearing aids. Potential candidates must contact either the JFSA or the Hearing Missions Foundation. Once selected, patients will receive audiological testing, their own custom-made and fitted hearing aids, a limited supply of batteries, along with education and instruction on proper operation and care of their new hearing devices. 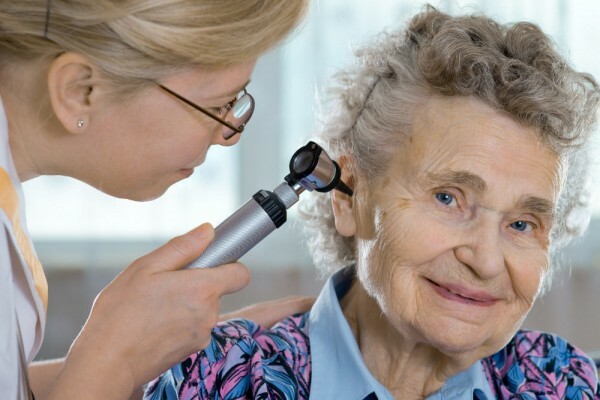 “It’s not enough for patients to simply receive new hearing aids. Each recipient must know how to use and care for their devices,” explains Dr. Sheryl Figliano, Doctor of Audiology, at the Centers for Hearing Care and co-founder of the Hearing Missions Foundation. Candidates for this local hearing mission must be a Holocaust survivor and meet certain financial eligibility requirements. Candidates are also thoroughly screened to ensure they have a hearing impairment which can be improved with a hearing device. Each recipient must be available for a hearing screening on December 21 and the fitting of their new hearing aid on January 25. The main focus of this mission is to change the lives of those who otherwise could not afford hearing aids. “We help these patients attain their full hearing potential,” explains Dr. Figliano. The Hearing Missions Foundation has transformed the quality of life for many hearing impaired individuals around the world and now wants to help Holocaust survivors here in the Cleveland area. “We have helped numerous patients with various hearing impairments including those who have been unable to hear well for years to patients who were born deaf and can now hear. It’s amazing to witness the life-altering moment when we fit the patient with their new hearing aids and they are able to hear for the first time! This is why we do what we do,” states Dr. Figliano. If you know a Holocaust survivor who is hearing impaired and in financial distress you may contact Gilda Katz at JFSA (216) 378-3565 or Hearing Missions Foundation at (330) 779-8090.